Keep your wicks trimmed! Trimming the wick to ¼” before lighting will help prevent smoking wicks and your candle will burn evenly. This is essential for a clean, smoke-free burn. Most issues can be eliminated simply by trimming the wicks every time you burn the candle. The wick on this candle has developed a fragrance mushroom. When you burn a highly-scented candle, sometimes your candle may develop a “fragrance mushroom”, which is a carbon buildup on the wick. This is because you have purchased a highly-scented candle. 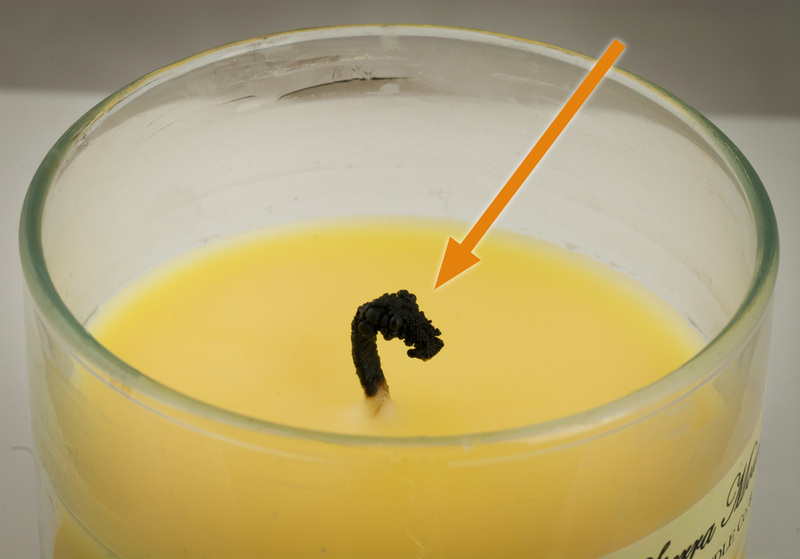 A wick “mushroom” is a small clump on the tip of the wick; carbon deposits that have built up on the wick and are fed by the burning of the wax and the exchange of oxygen. It is very common for the wicks to develop mushrooms or excessive carbon build-up along the top of the wick. Bending the wick to the side a bit keeps the mushrooming to a minimum. Trim any mushrooms that develop on the wick. Burn candles one hour for each inch of it’s diameter. This allows the flame time to melt the wax to the outer edge. Burning less time will cause the candle to core burn down the middle (called tunneling) and shorten the burn time. After the first burn of the candle, wait until the candle cools and cut off the “mushroom.” The “mushroom” will be greatly minimized and possibly eliminated each time you re-light your candle by keeping the wick trimmed. If your candle is smoking despite trimming the wick and checking for debris in the melt-pool, extinguish the candle immediately. Trim the wick again a little more and allow to cool before re-lighting. The smoking will stop. It is worth remembering that quality, highly-scented candles will smoke more than poorly scented candles. Burn your candles for the recommended time to avoid tunneling. Place candles on a heat-resistant surface away from anything that can catch fire. Always keep burning candles in view and never leave unattended. Never burn the last ¼” of “any” candle. Burning to the bottom presents a higher fire hazard (heat can break the container causing your flame to travel). If soot builds up inside the container, clean with a paper towel and Windex. Wipe over the cleaned area with a dampened paper towel. Allow the container to dry thoroughly before relighting. 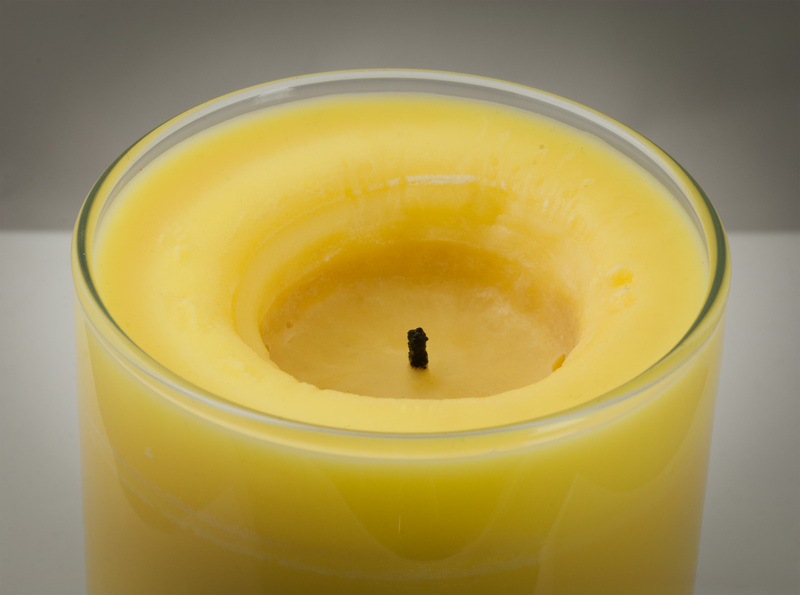 If the wick moves off center, use a butter knife to gently push it back to the center. If there is a draft, rotating the candle can help. Candles need to breathe. If you burn a candle in a small room, it is likely to smoke. Consider the size of your room when you burn your new candles. Never “blow out” a candle. Blowing will spray the wax everywhere and cause the candle to smoke. 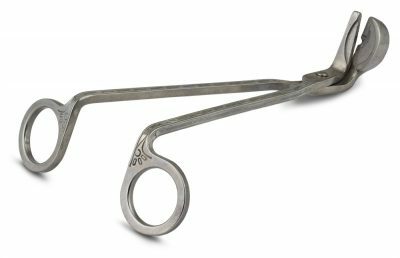 The most effective way to extinguish the flame of a candle is to use a wick dipping candle snuffer. Never touch or move container while burning or still hot. Extinguish and wait for the candle to cool. Some fragrances are stronger by nature than others. A smaller room will contain fragrance vapor in higher concentration, creating a stronger impression. Fragrance vapor is carried in the air, and factors such as humidity, air conditioning, a fan, an open window, etc., may affect how it carries. The larger the melt pool, the more fragrance may evaporate into the air. Larger flames will burn more of the fragrance vapor before it can release into the air.